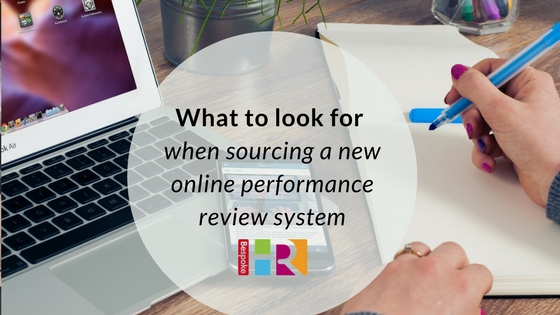 If you have never conducted appraisals or performance reviews before, or are used to traditional methods like an annual form filling exercise, it can seem complex sourcing an online system that can do these tasks for you. What should you look for when speaking to suppliers? Be clear on what you need the system to do: How is the system structured? Does it allow you to measure your staff against specific competencies or skills? Can you input individual, team or company-wide objectives? Does it capture development actions? Keep it simple: Continuous appraisal software needs to be simple and easy to use to encourage your people to use it as part of their daily/weekly routine. Will the system save you time rather than creating work for your teams? Try before you buy: most systems offer a free trial period to enable you to pilot the product before committing. It’s worth testing in advance to see whether the look and feel work for you & your business. Consider the cost: Make sure that the monthly cost of subscription is reasonable and that the benefits of using the software justify the cost. Many systems use pricing structure based on user headcount. Make sure that as you grow, the service remains affordable and that there are no hidden costs. Are there one-off implementation or software update costs outside of software subscription costs that you need to consider? Research contract clauses: some suppliers will offer a monthly subscription, some offer a 30/60-day cancellation policy, whilst others may force you to commit to a year with a 30/60-day notice period. If the software is under-used or doesn’t suit your business, then this is a long time to be tied in. Is your data safe? You need to check who is hosting your software and that it is safe and compliant with data protection regulations. We have developed our own performance review system, try a free demo of PDR Cloud.